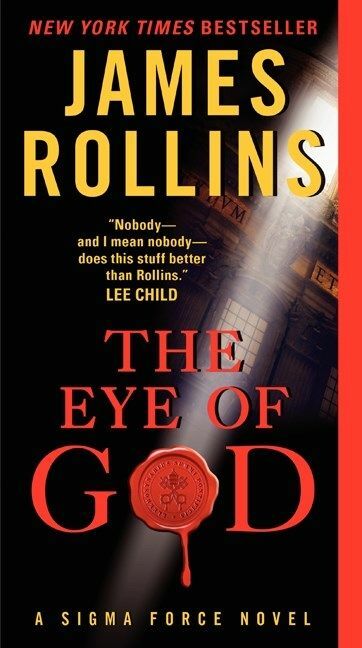 I like a good thriller, so just for the fun of it and to get a break from the speculative fiction I decided to read The Eye of God by James Rollins. I was quickly sucked into the story and finished it in record time. The characters remind me of modern pulp fiction characters we know just enough to get the story told. Rollins attempts to give them some depth and for the most part succeeds. However, there are times when it comes across a little forced. For most the book there are two to three different groups of characters traveling all over the world and in each party there's about 3 to 4 different characters, so it's understandable that Rollins couldn't give each and everyone of them depth and their own subplots. Rollins does a great job of giving me enough information about the characters and the world that it didn't matter that I haven't read the first eight books. I knew what I needed to enjoy the story. The plot of the story is where Rollins really shines. He's able to weave in history, science, religion, and plenty of action to make the book constantly entertaining and even thought-provoking. The world is coming to an end and the only way to stop it is to go a quest to find relics from the past that are the keys to saving the future. It's very imaginative and even plausible for the most part. There is no real world building as it takes place in the present to near future time frame. Rollins does some building as he creates the Sigma Force headquarters underneath the Smithsonian Castle and hidden tombs around the world, but for the most part he's using our everyday world. The Eye of God is a fast-paced thriller that doesn't suffer in story quality or imagination. A lot of these long book series often begin to feel cookie cutter, but even at book 9 I had a blast. There is violence, minor language and minor sexual situations. I would recommend it to older teens and adults. This is definitely for anyone who enjoys a good quest thriller with plenty of action included.